Ahh Madison. The city between the lakes. Home to the Badgers, the State Capitol and the naked bike ride. Also a home to thousands of students who are looking to satisfy their hungry with meager wads of cash. 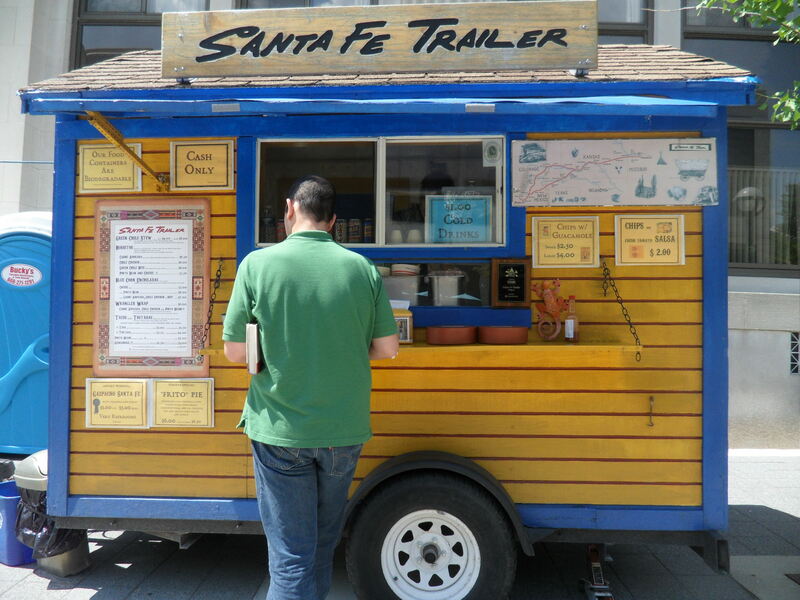 Look no further starving students, I have found the place for you: Santa Fe Trailer foodcart. This New Mexico-style foodcart has been around since April 2008 and was a familiar sight – I’ve noticed it at several events like block parties and Concerts on the Square. I picked a sweltering Friday afternoon to finally pay a visit to the brightly colored cart. 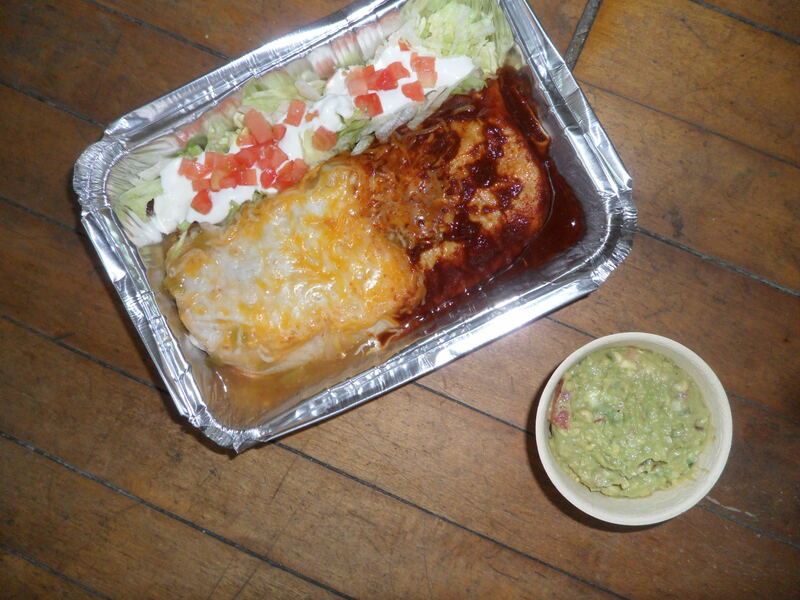 I ordered the chicken chile burrito which boasted a 12″ tortilla filled with meat, beans and cheese. My toppings included lettuce, tomatoes, sour cream and sauce (I went with the ‘Christmas’ which is half red chile sauce, half green chile sauce). I paid what I thought was an outrageous price of $9 for the burrito and large side of guacamole ($6 for the burrito, $3 for the guac). I got over my shock and used a fork to dig into my lunch/dinner. Bursting with ingredients and drenched in sauce, every bite was delicious. I liked the green chile side more than the red chile side but all of it was really good, exactly what you would expect from well constructed, hearty burrito. The guacamole tasted great as well but wasn’t absolutely necessary. Santa Fe Trailer will give you the most food for your money hands down – this gigantic burrito left me very full after two meals. I paid the exact same price for a portable wrap from Good Food that was much smaller. But it is unfair of me to compare the two on price because Good Food’s wrap contained fresh and organic ingredients that are more pricey. Quite simply, if you want to be healthy, go to Good Food, if you want to be uncomfortably full and a thrifty spender, go to Santa Fe Trailer.